Home Startup Ecosystem Entrepreneurial Resources Learning these 9 vital skills would help an entrepreneur forever..!!! Bringing improvement in your performance wholly depends on you. So would you like to improve your performance..???? Shine bright in your career…??? Then the only way is to improvise, develop and sharpen your skill. Learning is something that is part of everyone’s life as it pays the best to you in the coming years. And possessing the best skills within yourself would help you do better forever and longer. Being dedicated towards learning skills would yield you better performance and better performance would, in turn, be a fortune in your life. There is a proverb which says “ Time and Tide wait for none”. Many times it happens, one work for the whole day and at the end of the day realize that the actual work has not even got completed. This had happened due to improper management of Time. A little effective planning with respect to time would be more than enough to complete the work productively sooner. So it is very important for every individual to develop this tendency. According to the research EQ (Emotional intelligence) is now being considered as a critical factor for better results. A person with good capabilities to manage a social behavior, personal decisive power and proper navigation of social complexities achieve a meritious result. EQ offers an individual the power to identify and understand the emotions in themselves as well as others, which makes them a better performer in the organization. They tend to focus their energy, according to the priority keeping other factors aside. You would definitely be left behind if you are not an attentive listener. People think that they are listening, but actually, something runs in their minds beyond their senses. Whereas listening is actually focusing on the words of the speaker and understanding the person’s input. So developing this skill is crucially important to understand the happenings and opportunities in your workplace. Make sure you keep your eyes and ears wide open to listen as well as decipher some of the valuable information. Doing the work wrong, just because you feel embarrassed or ashamed to ask for help is not going to do any good. Asking for help actually requires a huge amount of humility and confidence and that comes only through this skill. It helps the individual generate the ability to recognize when and where they need assistance for better performance. If you desire to have an appropriate balance in life, then it is essentially important for you to learn say “NO”. Saying No is actually very difficult for people, but if you do not say No then you are likely to experience pressure, stress, depression etc. When you are not certain about doing anything then simply say No as this would help you concentrate better on your existing work. We human’s just wait for a chance to prove ourselves better and in this regard, we unload all our words on some person. But doing this is going to spoil your relationships and in one of the most ineffective ways. It would be better if you do not concentrate much on these battles and concentrate on your emotions to make a wiser decision. And speak only when and where required. People are held up with so many works these days, which makes them sleep deprived. But one must know that having a good sleep is very vital in one’ s life. Lack of proper sleep decreases your ability to think and process information, your problem- solving ability, creativity etc. with that it also makes you emotionally unstable and reactant. Learning the skill to have better and sound sleep is very important to have a better focus. Happily and positively working towards anything would help you gain success. But on the other hand, if you have the negative feeling regarding the concerned work, then it is definitely going to be a flop. The negativity breeds in your mind making you put less effort towards the work. Whereas positivity helps you maintain your attention, focus and efforts. One must posses the skill to push themselves out of their comfort zone. Many people tend to know how to do things, but the fear in them stops them from taking the initiative. There must be a thirst and desire in every individual to take the initiative at the workplace for their growth and progress. 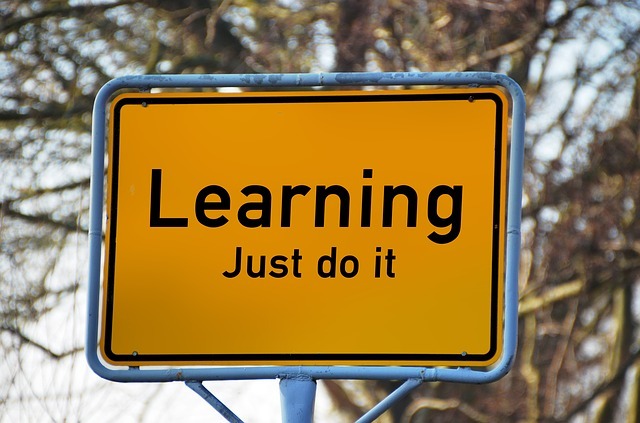 Learning, the above- mentioned skills, is definitely going to help you for your better in the long run. Shine the brightest by developing these skills for a better living at both professional and personal lives. Next articleStart your own business when you are young: Degrees can wait…!!! !